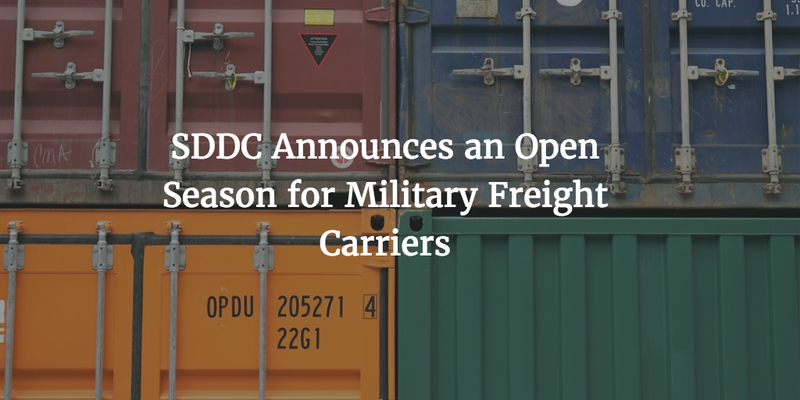 If you’re a freight carrier that would like to work with the Military Surface Deployment and Distribution Command (SDDC) on transporting military freight, you should know there is currently an open season. However, freight carriers need to pay attention to the specificities of the requirements. Not all of them will be able to apply for a DOD authority at this point. Applicants will have to prove three consecutive years of having a valid Department of Transportation (DOT) authority as a domestic Transportation Service Provider (TSP). This experience should have been continuous until January 9. Because of this strict rule, new businesses will not be able to get a DOD authority at this time. New applicants should pay attention to these criteria, as meeting all SDDC requirements for hauling military freight will take considerable time and effort. It makes sense to apply only if you are sure you can cover all of them. More specifically, all military freight brokers need to obtain and keep active a DOD performance bond. The bond protects the SDDC in case a carrier cannot complete the military freight transportation due to bankruptcy or other defaults. Transportation professionals have to post a $25,000 bond if they are transporting in one state, a $50,000 bond for transporting in up to five states, and a $100,000 bond for transporting nationwide. If you have already obtained your Standard Carrier Alpha Code (SCAC) from the National Motor Freight Traffic Association (NMFTA), you can apply online for a free performance bond quote. Apply for a free no-obligations quote on your DOD performance bond! Have more questions? Don’t hesitate to give us a call at (877) 514-5146. Lance Surety Bonds’ experts will be happy to help.